Studying abroad always requires preparation. And, unfortunately, paperwork. Admission to Japanese schools is no exception. So, what are the conditions of admission to Japanese schools (and getting a student visa)? Here are the conditions to be admitted in Japanese language schools. We are talking about long-term programs (6 months or more), thus requiring a Student Visa. The main conditions to be admitted to a Japanese language school are to be at least 18 years old and have graduated from high school (having completed at least 12 years of school education including elementary school) or above. There are actually exceptions to those conditions – please contact us to know more. In any case, we recommend you to take a Japanese language course in your home country and complete at least the JLPT N5 level (which is the first level of the Japanese Language Proficiency Test). At the very least, please know your Hiragana and Katakana ! Beginners with no Japanese knowledge must take “Japanese for beginners” courses which will teach them Hiragana, Katakana, basic grammar and daily conversation. After completing this course, students can move to other courses. If you intend to study in Japanese higher education institutions such as a college or university, you are expected to have a JLPT Level of N1 or N2. And to go to University, you will have to prepare for the entrance examination (EJU). NOTE: The education periods vary from school to school. The aforementioned periods are all features in schools. But some schools provide more options. Contact us to know more. For more detailed information about the whole process, please click here. Please choose your school and fill out our application form. Within one business day we will get back to you to confirm whether you are admissible in the school you chose, of course pending your getting a Student Visa. 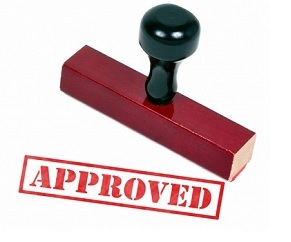 You must get a Certificate of Eligibility for a Status of Residence to apply for a Visa. Your application (see above) is submitted to a Regional Immigration Bureau in Japan. 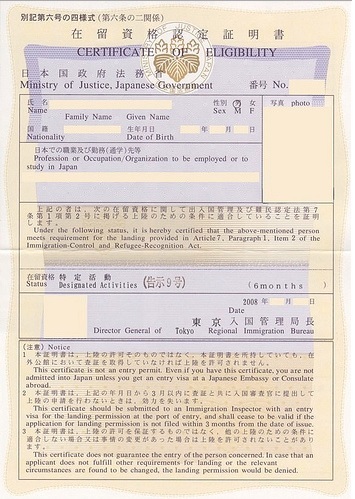 Once you have receive the Certificate, you can apply for a Visa. With a valid passport and the Certificate of Eligibility, you will be able to apply to get a visa from the Japanese Embassy or Consulate in your country. The Japanese immigration bureaus conduct very strict verification of your background and the information you have provided. This is why it is crucial to prepare your application with the utmost thoroughness. The conditions of admission in Japanese schools are not so drastic. But the process can be overwhelming. And it necessitates thorough preparation. Otherwise, you may waste time and perhaps miss the targeted course session. This is one of the reasons why we are here to assist you. You will feel relieved to be able to rely on us. We have helped hundreds of students fulfill their dreams of making it to Japan. Contact us if you would like to know more.